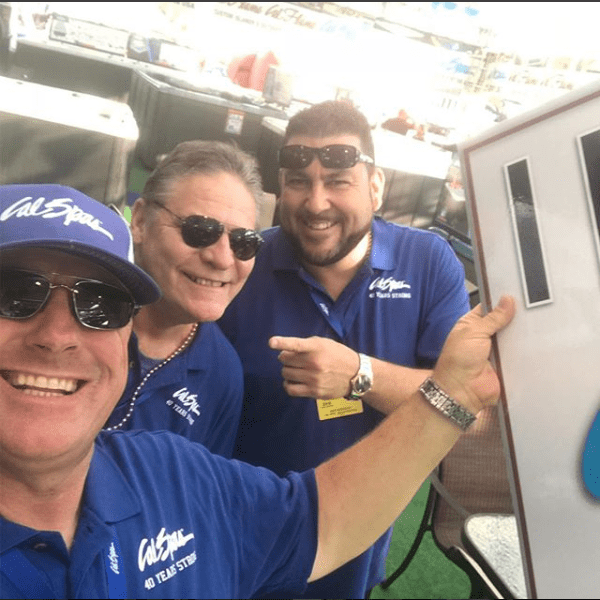 Step right in to the Cal Spas booth at the L.A. County Fair! 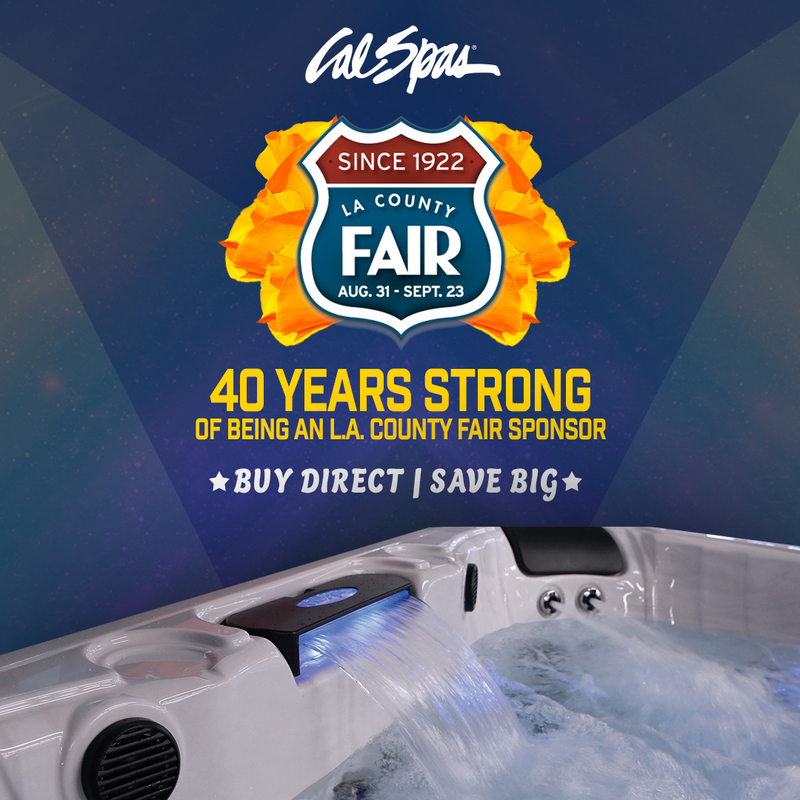 Join Cal Spas at the L.A. County Fair! The only time of the year YOU can save money when BUYING DIRECT! 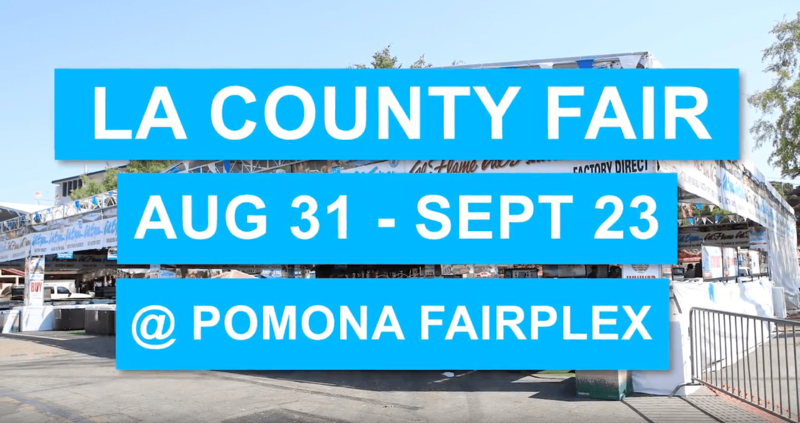 Cal Spas is your local Manufacturer based in Pomona California and we are excited to announce our 40th year at the Annual L.A. County Fair, the stomping grounds of Cal Spas! Join the Cal Spas tradition! Since its inception in 1978, it has been an honor for Cal Spas to partner with the Los Angeles County Fair Association for 40 YEARS STRONG! This important community event is not only a wonderful way to display our products to the local community, but it also gives us an opportunity to get out and greet our neighbors as they enjoy the festivities. “Cal Spas is a local manufacturer and we look forward to participating in this great event each year. 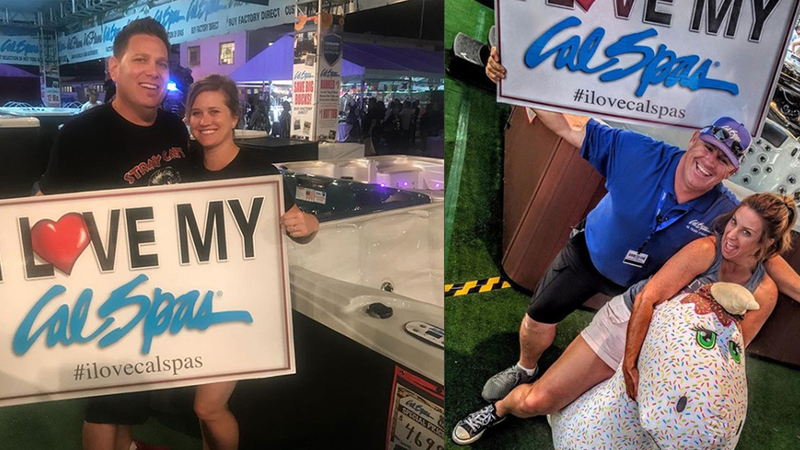 The L.A. County Fair brings out over a million California residents for a time of celebration and we are excited about once again displaying our hot tubs and swim spas to our local community,” said Casey Loyd, President of Cal Spas. 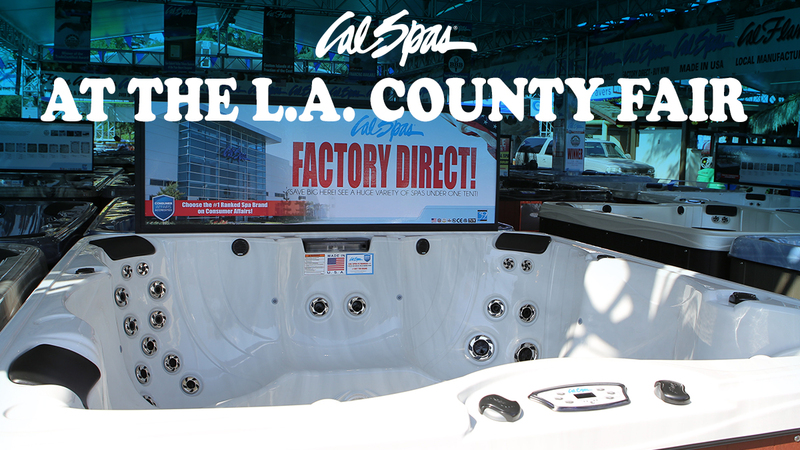 This year Cal Spas will introduce our top-of-the-line 2019 line-up that you can only find at the L.A. County Fair. We will be bringing out new Spas and Swim Spas. Additionally, come see our exclusive features that you will see at the fair. Get an up-close experience with Cal Spas! This is the only time of the year we will be selling directly to the public. Step in our booth by finding the familiar bright blue Cal Spas logo will surround the exhibition area and welcome visitors into one of the largest product displays at the L.A. County Fair. For additional information about the fair visit: www.lacountyfair.com. 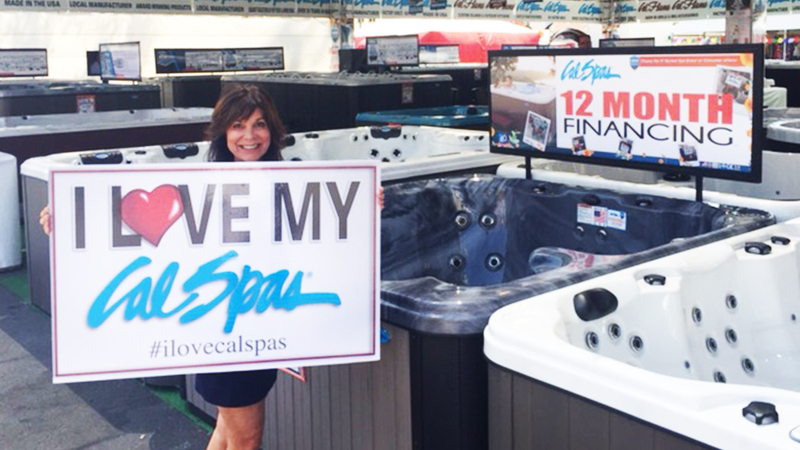 MAKE THE CAL SPAS FAMILY EVEN BIGGER THAN EVER BY TAKING HOME A SPA OR SWIM SPA TODAY!